Smith & Wesson M&P Plunge Lock Pocket Knife Serrated | BUDK.com - Knives & Swords At The Lowest Prices! 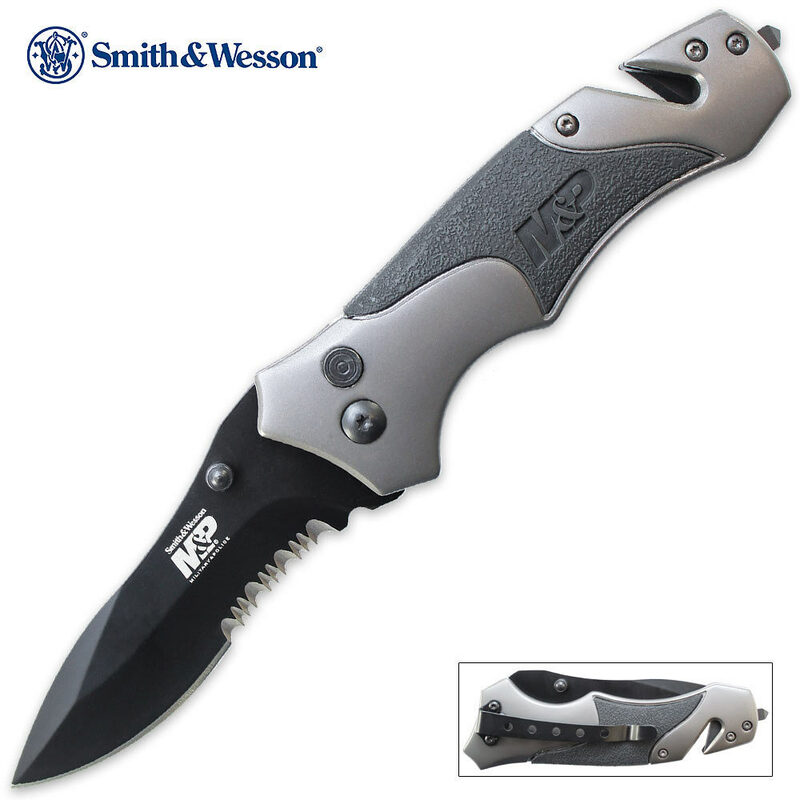 A new addition to the Smith & Wesson M&P series is the plunge lock pocket knife. This tactical pocket knife offers a unique plunge locking mechanism operated by a push button on the handle. A razor sharp 9Cr17 stainless steel blade has been black coated for glare reduction and corrosion resistance. A seat belt cutter and glass break spike have also been added for emergency situations. The aluminum pocket clip will ensure this knife is always ready for deployment!